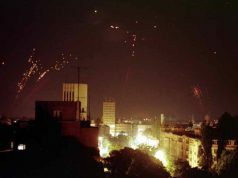 Sharply a year ago, on 25 April 2016, while ballots from the snap parliamentary elections in Serbia were still being counted, an organized group of masked men tore down 12 objects in Hercegovačka street in Savamala and in that process deprived of liberty those who found themselves in the vicinity. On top of that, the police refused to react and protect citizens who called and reported this suspicious incident. Objects demolished that night in Hercegovačka got in the way of the government-backed “Belgrade Waterfront” project, whose questionable compliance with legal and urban regulations has already produced several affairs and caused citizens to suspect its touted economic benefits. Even more concerning than the actual criminal acts committed that night is the lack of legal action and resolution in the months after the infamous April 25th. Owing to a few independent institutions, selected media, and activist organizations, the government has failed to cover up the controversial nocturnal demolition and subsequent omissions in the work of competent institutions. A year has passed, and Serbian citizens have not received any information either about who organized and ordered the demolition, or who the “phantom” perpetrators were. Although the responsibility of the police for not performing its basic duty is beyond dispute, competent institutions seem to be deadlocked in the preliminary investigation phase. The question remains, why is it taking this long for relevant institutions to investigate the event that sparked such fierce tensions and mass demonstrations that do not seem to fade even after a year? Moreover, it was Prime Minister Vučić himself who publicly admitted on a press conference that “the highest city officials are behind the demolition”. This happened in June 2016 and no resignations in the city administration have taken place. Although probably being the greatest affair of the ruling party since its rising to power in 2012, Savamala is not an isolated case, but yet another severe violation of basic democratic principles in a series. The entire case, with associated misconducts, impeccably embodies the state capture and absence of the rule of law in Serbia. Why is the Savamala case so important? Firstly, Savamala case is a manifestation of an undeniable politicization and blockade of institutions that are supposed to stand on the frontline in the fight against corruption and crime, namely the police and prosecution. Not only did the police fail to go out in the field and protect its citizens that evening, but it has been obstructing the investigation process ever since. The investigation has not moved forward from the preliminary phase, according to some media reports, precisely because of the police’s unwillingness to cooperate with the prosecution and deliver the necessary evidence. On the other hand, prosecution has not used all legal mechanisms at its disposal to prompt the police to collaborate. Most recently, the Internal Affairs Sector of the police has published the long awaited annual report for 2016, which, not too unsurprisingly, failed to mention Savamala. Silence of responsible institutions goes in accordance with constant efforts of the authorities and pro-government media to relativize the significance of the incident and conceal the involvement of state structures. The Savamala case is the most visible consequence of a disturbing collapse of the rule of law system and relocation of political processes outside of the institutional umbrella. Even though this case has seriously damaged the integrity of the aforementioned institutions and the citizens’ trust, what is the most concerning aspect is that such a state of the rule of law is gradually becoming normalized in Serbia. Secondly, the case clearly reveals the media blackout in Serbia and daily pressures independent journalists and media outlets are exposed to. This is best summed up by the example of the Minister of the Interior, who has filed two lawsuits so far in relation to journalists and articles which targeted his political responsibility over the case. Unlike Savamala, case involving weekly NIN promptly received its court epilogue, proclaiming the newspapers guilty. 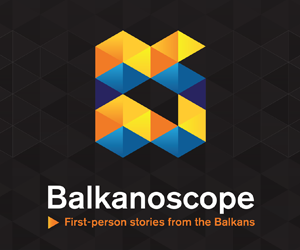 In addition, the media landscape throughout the year was marked by tabloid defamation, biased reporting, suppression, and intimidation of independent media which tried to objectively bring up the facts regarding Savamala. Finally, pro-government tabloids and authorities have joined forces to discredit and silence any kind of disapproval, protests, or reference to accountability over the case. Here we arrive at another important feature of the current government, and that is its complete non-acceptance of any sort of criticism pointed at their policies or practices. Smear campaigns and the demonization of opponents, whether they are embodied in political opposition, independent institutions, journalists, or civic movements, have become a common government response to criticism. 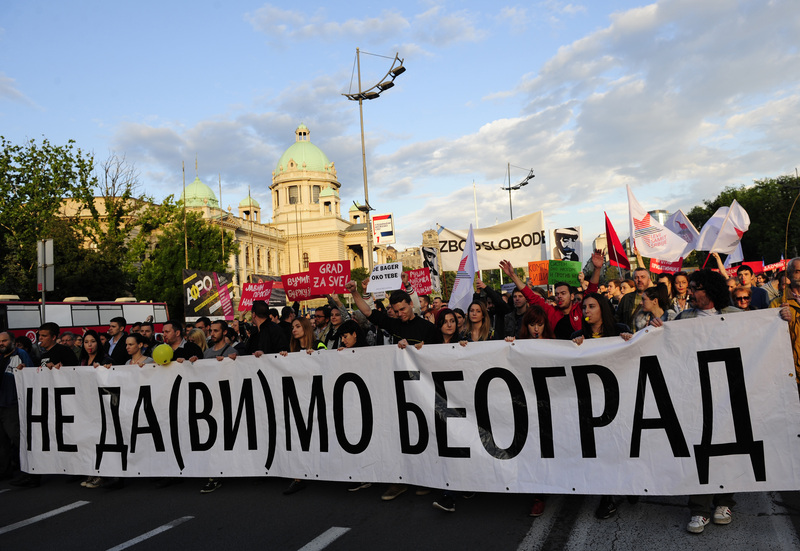 In that context, the activists of the Initiative “Don’t Let Belgrade D(r)own”, who organized a series of mass protests, have been repeatedly declared as state enemies, mercenaries, and traitors by tabloids close to the government. Even more worrying is the fact that they have been subjected to various questionable measures such as wiretapping. Looking back at the previous year, actors who persisted in their efforts to fight the authorities’ misconduct and insisted on revealing the truth behind the Savamala case should certainly be mentioned. Few independent media, such as the convicted weekly NIN, have not succumbed to the pressure and have reported and investigated the case impartially. Moreover, independent control institutions of the Ombudsman and Commissioner for Information of Public Importance and Personal Data Protection have acted in accordance with their legal powers, in spite of constant smear campaigns directed against their highest officials. Most importantly, a major engine that motivated a great number of citizens and has not allowed the regime to sweep this affair under the rug is the initiative “Don’t Let Belgrade D(r)own”. Initiative has been active for several years, counteracting the regime with protests, civil disobedience actions, lawsuits, and, most importantly, by informing the public about the Belgrade Waterfront project, Savamala, and other accompanying controversies. All of the aforementioned problems are at the very core of the negotiating Chapters 23 and 24 in the European accession process of Serbia. European institutions have moderately reacted on several occasions, but the case has been stalemated and ignored regardless of these modest critiques. It has also been completely ignored by the European Commission’s Country report on Serbia. Thus, the question arises about how long the current government can continue to tick the boxes (i.e. negotiating benchmarks) and maintain the facade of democracy and rule of law, without any substantial reforms on the path towards the European Union? Furthermore, social and political front of the dissatisfied with the current government is gradually expanding and societal resilience is being strengthened. It remains to be seen whether the ruling party will pay its toll for overriding the laws, displacing centres of power outside the institutions and tearing down the rule of law system. Marija Ignjatijević is a journalist at European Western Balkans and a former Junior EFB Associate Fellow at the European Union Institute for Security Studies.